"There’s no such thing as an easy sale.” So went the logic at a business conference I was attending. The speaker was the president of a very successful, long running architectural firm. "The hardest job in the world,” said the speaker, "is to convince someone to turn loose of their money to buy what you are selling.” He went on to explain how their third generation architectural firm had landed upon something to help make a sale. They became less salesman-like in their approach with the customer and began to sell their expertise. "It sells very well,” he added. When it comes to sales, it is an easy thing to sell on the lowest price. If price were the only consideration needed to make a sale, we would not need much in the way of marketing. However, the lowest price is not always the best way to sell something and it is not the best way to purchase it as well. No one wants to buy junk from someone who hasn’t a clue what they are selling you. I believe that expertise is a very marketable feature that will help sell any product or service. If you can position yourself as the frontrunner in terms of expertise in your field, you can corner your market. How do you market your expertise? First, you need a good forum and a place where an audience can easily gather. A blog is a good start. There are no shortages of places to put your thought leadership to work across social media formats. Q and A sections of web sites are another place to market your expertise. That can take many different forms. For instance, podcasting is a great opportunity to market your know-how. However, there are other places you should look to gain some marketing traction with your knowledge, especially in places where you encounter a live audience. Many business groups are open to members sharing their specific industry acumen in a meeting. Lunch and learn sessions are also a great venue for sharing your insight. Trade shows are a place where your knowledge can be shared with participants. Take a look at these forums to expand your marketing reach through your expertise. Is expertise all I need to market my products and services? Sharing your expertise is a great way to help a potential customer feel at ease with you and to trust what you are saying. On the other end of a sale, expertise is a wonderful marketing tool to get customers to return to you again and again. But what about getting someone to buy from you for the first time? Does your expertise do anything to help make that first sale? It does if you transition from making a potential customer aware of what you know and leveraging that to sell them what they really need. If they see you as a trusted expert, you can guide them to the product they need, helping them weigh the pros and cons of their buying decision. The lynchpin is trust. If you market yourself as more of an advisor who is looking out for the interest of the customer and less of a salesman who is just looking to move products, you can use your expert insight as a marketing tool. 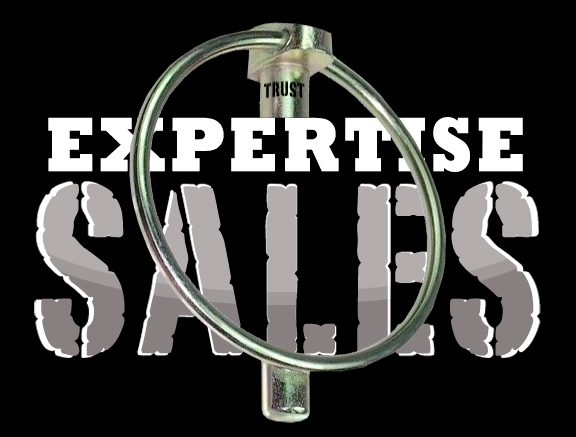 There may not be such a thing as easy sales, but when it is working right, expertise is a trait that is very marketable.